14k White Gold 8mm Comfort Fit Dome Wedding Band Super Heavy Weight. 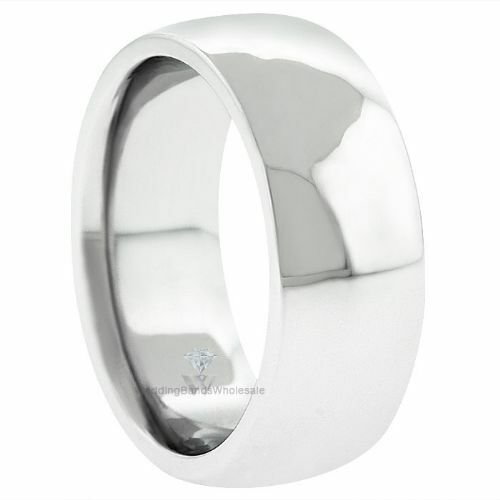 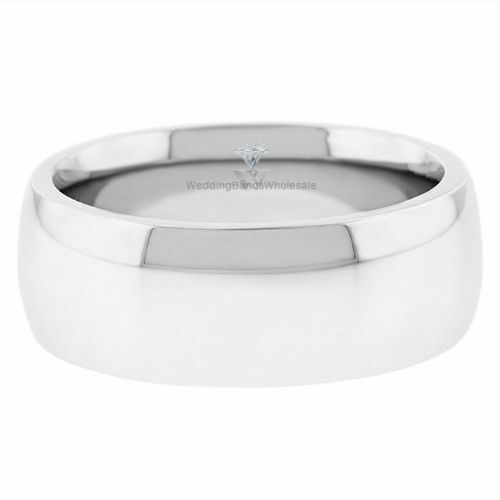 This 14k Gold Plain Dome Wedding Band is 8.00mm wide and approximately 2.50mm thick, and is rounded on the inside to provide the most comfortable fit possible. 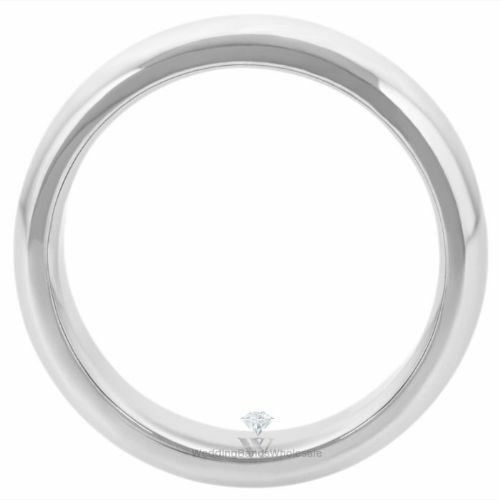 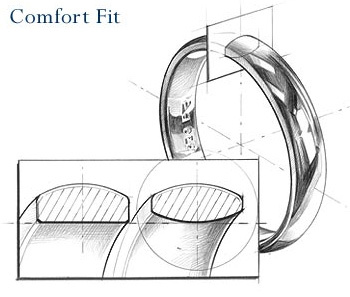 Our classic dome wedding bands are not only dome-shaped on the top of the ring, but are also rounded on the inside of the band, creating a comfort fit for constant wear that will not pinch the skin and still slides easily on and off of the finger.